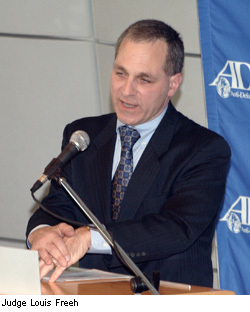 As FBI Director Louie Freeh oversaw some of the biggest investigations in the nation including the Oklahoma bombing and the 1998 bombings of American embassies in Africa. Now as a private lawyer and consultant, he’s being asked to tackle a task with a little less world import. The New York Times reported that the College Board is hiring Freeh to review its security involving SAT tests. The move comes in wake of a scandal involving seven Long Island teenagers who were arrested for cheating. The Times reported that Nassau County prosecutors filed criminal charges on Sept. 27 against Samuel Eshaghoff, 19, who is accused of taking payments to take the SAT tests for six former and current students at Great Neck North High School. The Times reported that scandal still has potential to get bigger and involve more students. Posted: 10/26/11 at 1:19 AM under FBI, News Story.